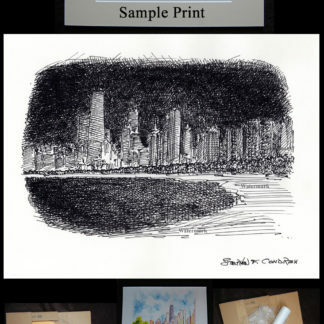 Chicago skyline #747A pen & ink drawing, which is a cityscape stylus sketch, is for sale at discount with prints by artist Stephen F. Condren, BFA-SAIC, of Condren Galleries, a Fine Arts Gallery, offering JPEG & PDF scans. 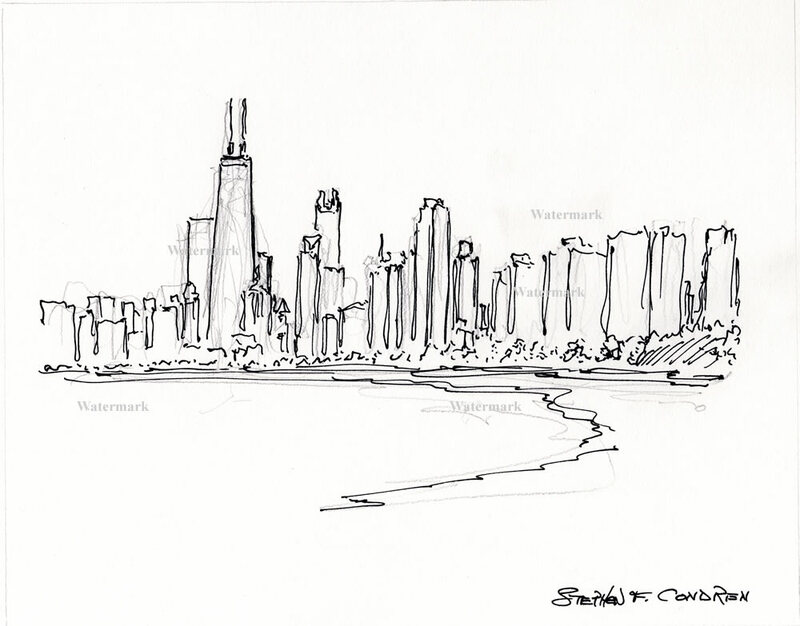 This is a drawing of the near north side along Lake Shore Drive looking south. 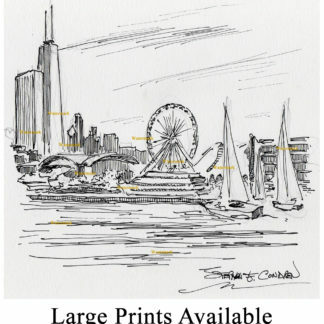 The lines are barely there, just suggesting the image of the skyscrapers and culminating with the John Hancock Center. 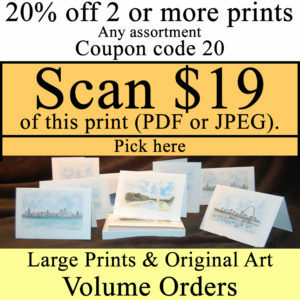 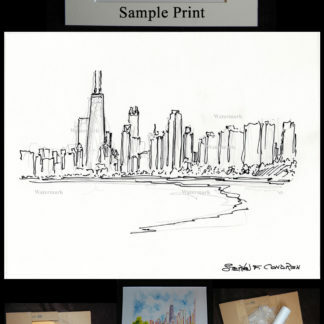 Because Chicago skyline #747A is great, it’s prints are great! 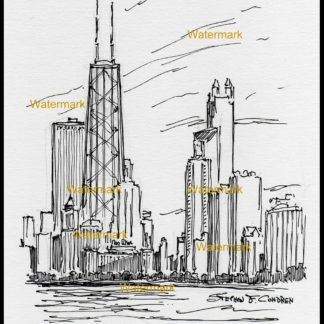 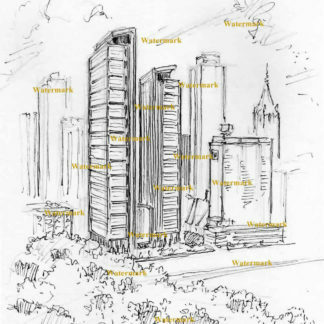 As noted in the key features, my intent is to show the skyline sketch in terms of fine lines without much detailing. 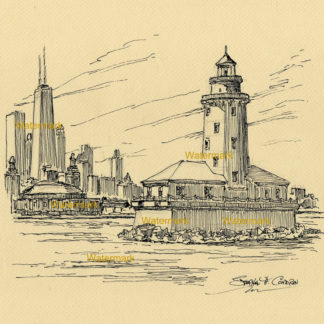 The delineation is accurate and clean letting the view know exactly where he is. 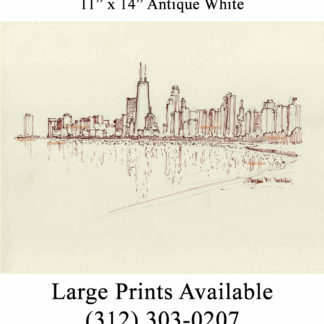 No doubt as to the image of 875 N. Michigan Avenue, formerly the John Hancock Center. 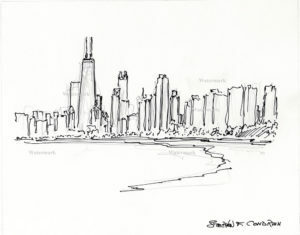 This sketch is a preliminary study for Chicago skyline #748 which will be done at night. 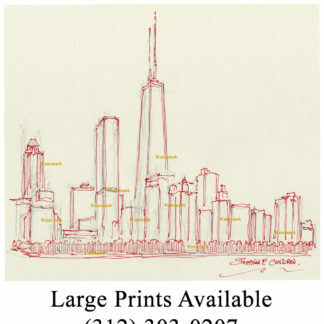 This image gives you the structural foundation for the next drawing. 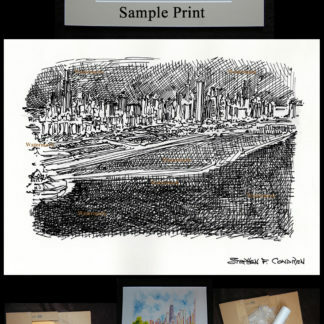 As you can see all of the forms are fresh and loose leaving way for the vast amount of hatching and cross-hatching that is to come.